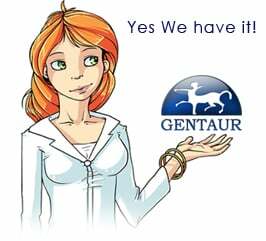 Gentaur antibody-antibodies.com The Marketplace for Antibodies : Analysis of inter-alpha-trypsin inhibitor and a novel trypsin inhibitor, pre-alpha-trypsin inhibitor, from human plasma. Polypeptide chain stoichiometry and assembly by glycan. The polypeptide chain composition of protein material referred to in the literature as "inter-alpha-trypsin inhibitor" was investigated. The material was found to consist of distinct proteins of 125,000 and 225,000 Da, each of which contained more than one polypeptide chain. The links that assemble each protein were found to be stable to various strong denaturants, but susceptible to treatment with trifluoromethanesulfonic acid or hyaluronidase, indicating a glycan nature. The 225,000-Da protein migrated with inter-alpha mobility on agarose gel electrophoresis and is designated inter-alpha-trypsin inhibitor, whereas the 125,000-Da protein migrated with pre-alpha mobility, and we designate it pre-alpha-trypsin inhibitor. Analysis of the proteins, the separated chains, and proteolytic derivatives thereof revealed that each protein contained a single, identical, trypsin-inhibitory chain of 30,000 Da. Inter-alpha-trypsin inhibitor contains noninhibitory heavy chains of 65,000 and 70,000 Da, whereas pre-alpha-trypsin inhibitor contains a heavy chain of 90,000 Da. Our data allow identification of several recently reported cDNA clones and clarify the confusion surrounding the composition of plasma proteins referred to as inter-alpha-trypsin inhibitor.